This is going to date me, but when my boys were little, our baby monitor was not much more than a glorified walkie-talkie: no video, just sound. Not so the monitors of today! I love these things! They are sound activated (no continual hum), and have movable cameras. Want to know where Baby is in the crib, flip a switch. Can’t see him? Move the camera. Want to sleep in silence? No problem, set the volume and wait till Baby makes a noise, it will come on all by itself. Oh, and Toddler gets out of bed? Push a button and tell him to get back in without moving from the comfort of your sofa, putting down your book, or missing a commercial. Boom! Someone is a genius! Until of course your Little One catches on that his every move is being watched and he unplugs the monitor or turns the camera toward the wall. But how easy is it to simply put everything back in place and discipline the child. These are fantastic! 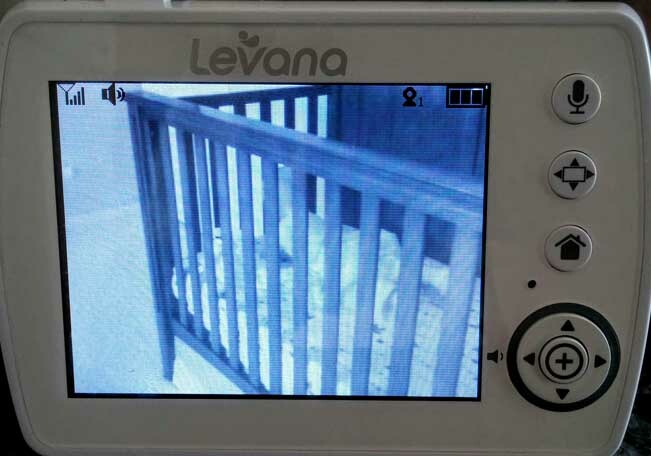 There is nothing happening in the nursery that is beyond the observant eyes and ears of a Yaya with a baby monitor! However, there will soon come a time when safety observation is no longer needed, and having a monitor will be considered invasion of privacy. None of us wants our privacy invaded. By the time we have something to hide, we want privacy; especially privacy from God! I think some of us would be quite happy if God would just stop watching us at least some of the time. But he won’t. That means God sees everything: the good, the bad and the ugly — the things we do and the things we think we’d like to do. He also hears every word; not just our spoken words, but also our texts, our thoughts and the words that are shared or liked on social media. He sees and hears everything. There is nothing we can hide from God. So why do we think we can, and have? We act like preschoolers who think they can get out of bed and play with their toys without being seen. “Get back in bed before I have to come up there.” Caught! And he knows it. At least the preschooler knows to run back to bed. You and I, well that’s a different story. We pretend we’ve fooled God. We know we haven’t, but unless fire comes down from heaven or lightening zaps us, we continue on in our delusion and assume we’ve gotten away with it. Sometimes God quickly calls to us; our conscience cries out, or our spirits alert us to our disobedience. And if we are wise, we will yield to that unseen voice and run back to the safety of confession and repentance. Confession: agreeing with God that he saw what he saw, and that he is good and right in the boundaries he has established. Repentance: turning away from whatever draws us away from God and turning back to God. Sometimes God lets us deceive ourselves, pretending we are independent and unseen, for long periods of time. Unfortunately, in those stretches, we may become so comfortable in our independence that we never confess or repent. We may even convince ourselves that God really doesn’t see us. Nevertheless, he does. His eye is always on us, and it is through a lens of love that he watches over us. If we watch our little ones because we love them, how much more does God watch over us and listen to us because he loves us. We would be wise to watch ourselves more closely! Unfortunately we tend to watch other people with more scrutiny than we use to examine ourselves. We criticize others and excuse ourselves of even worse behavior. Or we use others as the measuring rod against which we always fall short. We often tend to be more concerned with what other people observe in us than what God is seeing. If we really believe God is watching over us, then we should live accordingly: conducting ourselves in a manner worthy of the Gospel of Christ (Philippians 1:27). We are not worthy of the amazing gift of salvation that has been given us, but we should live worthy of it and of the suffering that Christ endured to provide that salvation. God is watching me, he is watching you. Does that change the way you think about your life, your lifestyle, your choices? He hears everything you say. Does that change the way you use your words, your “likes” and your “shares”? God already knows everything you’ve said and done, and he still loves you and wants you to be his. Is it time to run back to God? Keep on watching I need the monitoring on a minute by minute basis.